I took a bunch of pictures when I went out for food yesterday and it turns out the first one was the best. Not that it’s a great shot, but I took this the second I walked out the door. This is what I saw when I turned left and clicked. 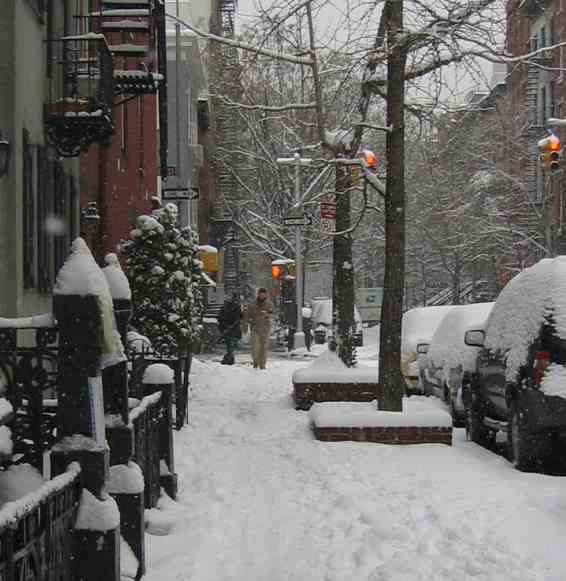 I wish we had snow like that !! And you have cats, so you can enjoy it from the inside! Oh, I love the snow! !